It is mandatory that a CNA training program should have at least 51 hours of theory classes and 24 hours of clinical training as the certification exam has two papers. The CNA clinical skills test refers to evaluation of the proficiencies taught during the clinical training; these are CNA practical abilities that you have to use when you assist patients in healthcare. The instructor will show you around the testing room and you will be given a chance to check the equipments you will need during the paper. You can try using the equipments so that you are used to their functionality. The examiner will give you a card which will enlist the skills you have to perform during the test. Read the card carefully, listen to the instructions given by the examiner and ask questions to clear any doubts. The examiner will inform you when to start with the profeciencies and when to be a patient; act accordingly. He/ she will also inform you about the time within which you have to finish performing all the tasks. Most of the practical papers are conducted on dummy patients who are students like you or on mannequin, so you don’t have to ask them whether or not they need care. You need to perform the skills to exhibit that you have acquired them and can serve as a certified nursing assistant. As you must have read the instruction card you know the skills you have to perform; you must execute the craft in the sequence mentioned on the card. You can refer to the instruction card during the exam to avoid any confusion. It is mandatory that you wash your hands before and after performing every skill. Ensure that you use gloves when performing a tasks involving body contact except for feeding if it is one of the skills you have to perform; while feeding use a spoon or fork as required. Another profeciency which you will have to perform is taking vital signs. You will be given a form to record the signs, so after taking measurement don’t forget to record it on the form and sign it. After each skill review the instructions to check if you have missed out on something; once you are satisfied that the task is performed as required say that you are done with the it. After announcing that you are done with the skill you cannot make any correction, so it is important that you cross check it in advance. The side rails are not taken into consideration during the test so if the bed has side rails you may chose not to use them; this may vary in some states so follow the regulations of your state. Safety is one of the major aspect the examiner checks during the practical test. If he/ she find that you have done a major mistake in that regards the evaluator will ask you to make corrections. You will not be graded for the correction because the instructor has notified you what to correct; so be focused on the safety aspect of each skill that you perform. The key is to remain calm and focused and carry out a CNA skills review after performing each task. The examiners are aware that you may be anxious and may give you a hint or two. But remember that the prime responsibility of the examiner is to evaluate your skills and grade you accordingly, so don’t expect him to teach you something. It is all up to your abilities and procedures to pass the paper. Once you have cleared your theory and CNA clinical skills test you will have to prepare a resume and hence you must be aware of CNA resume skills so that you can make your job search smooth and land into a job of your liking. If you have decided to take up CNA as an entry level job in the nursing field; it is a great career move. As per the US Bureau of Labor Statistics (BLS) the job opportunities for CNAs will increase by 35 percent by 2017 and the number of CNAs available to serve is less; which means that the salary of CNAs will also increase many times. To become a CNA you have to clear a certification exam which has a theoretical (Multiple choice questions) and practical paper (clinical skills test); both these papers must be cleared to get your license of practice. The CNA clinical skills study guide will give you insights about clearing the CNA clinical skills test. The most important point is that the program you enroll to get the required CNA training must be accredited by the health department of your state, otherwise you will be disqualifies for the exam as at the time of applying for the certification you need to submit the program verification document. An accredited program is of at least 75 hours and 24 hours out of that are for the clinical training; this will ensure that you have developed enough skills to clear the CNA clinical skills test. The test is conducted under the supervision of a qualified examiner; usually a Registered Nurse (RN). Listen carefully to the examiner and perform the skills as instructed by him. If you fail to listen properly ask for clarification; do not perform any skills without complete clarity and only then will you be able to perform the task with precision. Before performing each task wash your hands; go to the wash area and demonstrate the technique of hand-washing that you have learned during the training. While washing the hands you must wet your hands considerably; for 20 second at least, before applying soap. Don’t forget to clean the hand between the fingers and clean them up to your wrists. Turn off the tap using a paper towel, thrash that towel and dry your hands using another towel. Follow proper code of actions and decorum; the examiner will watch every step of yours, so keep a professional approach. Before entering any room knock on the door and seek permission. Clearly explain the procedure you are about to perform to the patient, ask for clarification and make sure the patient is at comfort. Draw curtains and keep them closed when you provide assistance to the patients, respect their privacy. The commonly asked tasks to perform are bathing, feeding and grooming of patients, providing bedpans, moving patients’ with left/ right side paralysis, moving patients to wheelchair, changing patients positions in the bed, taking vital signs and recording them, changing linen of occupied beds, disposing dirty linen, sanitizing bedpans and other equipments etc. Before taking the skills test you must practice these skills as many times as possible; consider practicing them under the eye of an instructor as he/ she will be able to evaluate and correct any procedural mistakes you may make. If you practice these skills thoroughly you will master them and will be able to perform them easily during the actual test. During practice chalk out the best method for each of the process. Consider all the information that was given to you during the training and carefully understand each step you have to take; this will put you at ease during the test. Put on the gloves for tasks relating to body contact with patients and if you are supposed to touch any fluids; except for feeding by spoon where use of gloves is not required. Safety measures should be taken care of properly; the call bell must be handy for the patient. You should carefully use the gait belts while patient transfer, lock the wheels of wheelchair whenever necessary, sanitize the equipments after each use and lower the bed after completion of all the tasks. After you sanitize the equipment make sure you store them in the prescribed way; the emesis basin and bedpans must be wrapped in paper towel while the blood pressure measuring and other vital signs measuring equipment must be stored in the box intended to store them. Make a record of all the vital signs on the sheet with the differences from the last record. The CNA clinical skills are a vital part of a CNA job so the examiner will scrutinize each and every action of your very closely so you must be well prepared before taking the test and this CNA clinical skills study guide can help you in preparation; on the other hand you can also check for the CNA clinical skills checklist. To get certified as a nurse aide you must fulfill certain requirements which vary from state to state, but there is one thing common about the certification in all the states and that is the certification exam which consists of two papers and you have to pass both the papers. One is a written paper while other is the practical paper where the CNA practical skills are tested. Most people who have got certified will give a testimony to the fact that it is the practical paper that is more difficult to pass. For the theory one if you give enough time to study the material provided by your training institute you can easily get through. This book is considered as a complete guide of CNA clinical skills and is a trusted source for understanding the abilities of a CNA. The book consists of detailed information on the various tasks of a nurse aide like taking vital signs, admission and discharge procedures and documentations, infection control and hygiene measures, emergency or acute care measures, physical examination, nutrition and fluids etc. 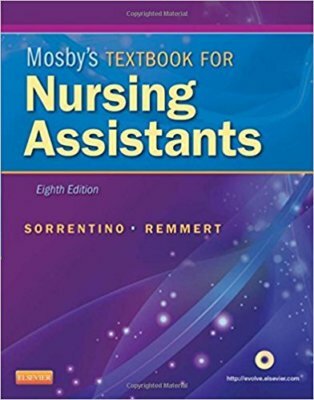 The most important feature is that the book is in a layman’s language so it is easy to understand all the information for aspiring nursing assistants who have no healthcare background. It distinguishes between child care and old age care and has as many as 100 procedures for nurse aides. If you want to prepare for the CNA practical exam this book is a comprehensive package for you. 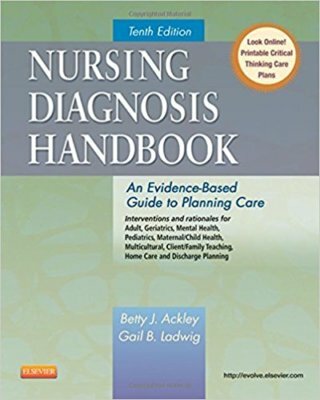 Written by Betty J. Ackley and Gail B. Ladwig this is another book that can help you prepare for the practical paper of your certification exam. This book guides you to prepare patient care plans tailor made for individual patients. You can study this book and practice skills considering different types of patients. Suring the exam the examiner can ask you to perform tasks on various scenarios asking you to assume the patient’s condition. The book has a three step process; information evaluation, diagnosis based on the evaluation and patient care based on the diagnosis. It consists of over 1300 case studies with symptoms, medical and psychiatric diagnosis and the concluding patient care process. With so many case studies this book is useful not only for the CNA clinical skills test but also when you practice as a nursing assistant. Linda Whitenton and Marty Walker are the authors of this helpful book which has all the relevant information about the certification exam; be it the theory or the practical paper. It gives you all the necessary information about how to prepare for both these papers so that you can get the certification with ease. The book is logically divided into chapters based on tasks like safety, resident rights, equipment care, personal care abilities, restorative proficiency etc. Some chapters discuss about measuring vital signs, taking specimen while others talk about hand washing, bathing, dressing and grooming. This book is the most referred book as it is written by experts and serves as a perfect guide to prepare for the certification exam. These are some of the books that will very helpful to you for the preparation of the certification exams. These books come with a video kit; these are various videos which are performed by experts using the best procedures for each skill. Apart from referring to these books there are other ways to brush up your CNA practical skills so that you will be completely prepared to pass the certification test. While in training you must make sure that you attend all the clinical training classes as it is the best place to learn and practice under the careful eye of your instructor. After the training is over it is essential that you take as many practice tests as possible and review your clinical abilities. Don’t take your exam likely, especially the practical paper as this is where most students fail to make the cut. Make sure that you practice these indirect capablities along with the CNA practical skills so that it becomes natural for you to use these; by doing this you will not just clear the certification exam but will be an asset to the medical facility that employs you and a true healthcare friend to the patients you are serving. Below is the CNA clinical skills checklist which will help you in preparing for the clinical skills paper and in taking patient care later when you practice as a CNA. Hand washing skills Hand washing is one very important aspect of CNA job skills as it helps in controlling and spreading of any infection to the resident as well as the nurse aide. Before applying soap you must get your hands and wrists wet and provide proper friction of at least twenty seconds. Clean your hands between fingers, nails, wrists and cuticles; separate them and rinse thoroughly. Turn off tap using a paper towel and discard that towel into a bin. Use another paper towel to dry your hands completely. Measuring weight Measuring weight is another important skill of a nursing assistant and you must ensure that the weighing equipment is in proper working condition before starting the procedure. Set both the scales on zero before you tell the client to stand on the weighing scale. Assist the patient to stand on the scale if necessary and make sure that the client’s feet are flat on the scale standing on it. Record the weight and note the difference from the last count. Ensure that the patient does not walk backward but forward to the bed. Ambulate patients Before starting the ambulating procedure the CNA must explain all the procedure to the patients and clear any doubts they may have. Position the gait belt before making the patient stand and snug it below the ribs. Ensure that the resident is at comfort and there is no risk of any injury. Help the client to stand by holding the sides of the patient and ask the him or her to stand with flat feet. Ask the if he/she if feeling dizzy before walking and carefully walk the him or her up to the wheel chair; turn back to the chair and gently lower the patient onto the chair. Measuring blood pressure Find the brachial pulse before you place the cuff on the arm and once again before you place the stethoscope on the arm. While inflating the cuff carefully listen to the heartbeat. The cuff inflation should be a maximum of 180 mm Hg. Control the deflation of the cuff and accurately record the blood pressure. Make sure that you clean the equipment before storing it in the box. Recording pulse and respiration Pulse and respiration count should be taken for exactly sixty seconds; notice your watch carefully while taking the count. You must support the patient by holding the arm on the mattress while you take the count and make a record of the count. Oral and dental care While providing oral and dental care use of gloves is necessary. If the resident is unable to walk up to the basin provide them emesis basin; raise the head of bed and brush the teeth properly along the gums and chewing surface of the teeth. The client can rinse his mouth and spit in the emesis basin; dry the mouth with a clean towel. Dispose the contents of the basin in the wash area and clean, sanitize and dry the basin and store it properly wrapped in a paper towel. Feed the patient Raise the head of bed and sit on the bed while feeding; use a spoon but gloves are not required while feeding. Make sure the meal is according to the diet specified by the physician. Talk politely to the patient and make sure sufficient amount of food intake; encourage a reluctant client in doing so. Help in motion exercises Assisting patients in motion exercises of the upper and lower body parts is an important skill of CNA. The nurse aide must be aware of all the upper body exercises like rotation of wrist and fingers, touching the chest in curls, arm to back wall, snow angel, wiper motion etc. The lower body exercises include ankle rotation, gas pedal, knee into chest, snow angel and long roll. A CNA must be able to assist them in doing these exercises and any other as per the directions of the supervising nurse. Use of bedpan The CNA has to assist patient in use of bedpan and must know how to properly place the bedpan. Place the bedpan flat on the bed and not on the bedside table. Position the bedpan crack to crack and give the resident a call bell before going behind the scene. After the patient is done assist the him or her in washing the hand. Dump the waste in the toilet area and clean and sanitize the bedpan. Store it by wrapping it in a paper towel. Use of gloves while performing this duty is a must. Positioning patients A nurse aide must change the position of bed ridden residents at regular time intervals; or whenever a client requests. Ensure that the head of the bed is lowered and the bed is in flat position. Check the resident’s arms and pillows; a half-folded pillow must be place at the back of the patient, one between the knee and ankle and one under the arm. Make sure that the shoulder, hips and ankles are not in a straight line and bend the legs slightly while turning the patient to the other side. Never raise the head of bed when the resident is lying on one side of his body. These are some of the CNA clinical skills that must be learned in CNA programs apart from reporting health changes to the supervising nurse and importantly you have to perform five tasks during the CNA clinical skills test.